Zadar (Croatia) (AFP) - Croatia raced to a commanding 2-0 lead over the United Status on the opening day of their Davis Cup semi-final in Zadar on Friday. 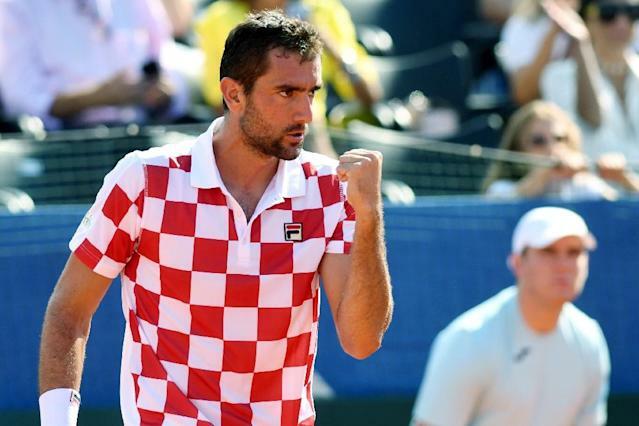 Croatia's top player and world number six Marin Cilic then defeated Frances Tiafoe, a Davis Cup débutant 6-1, 6-3, 7-6 (7/5) to leave the hosts on the brink of the final. Croatia could book a date with either France or Spain in the november title match in Saturday's doubles in which Ivan Dodig and Mate Pavic will face Mike Bryan and Ryan Harrison. Croatia have seen off 2007 Davis Cup winners the USA on each of their four previous Davis cup meetings.